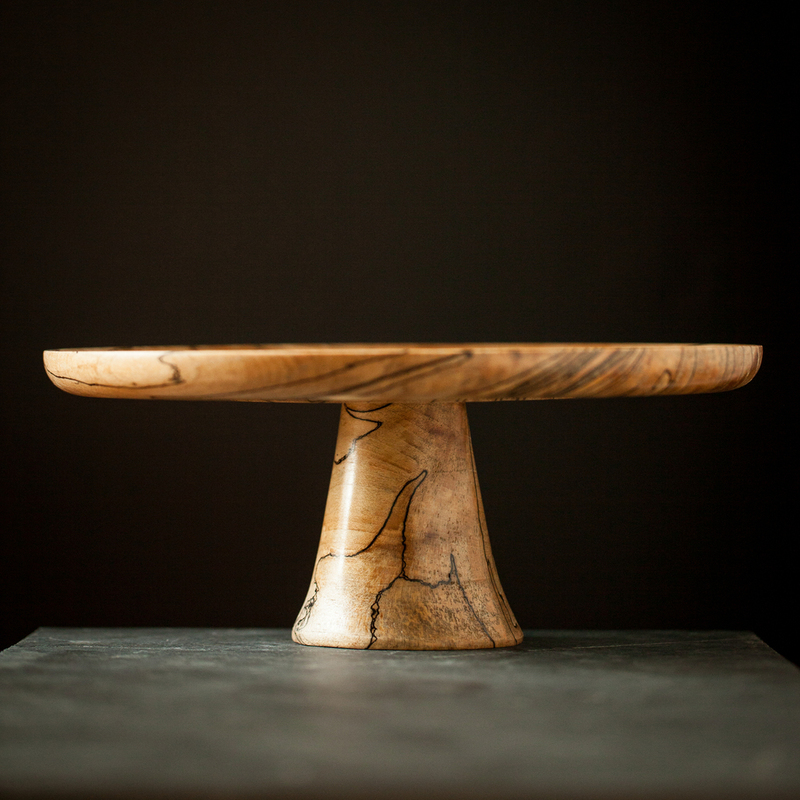 This unique spalted maple stand is one-of-a-kind cake stand, special made to enhance any cake or dessert for generations to come. Made entirely of salvage or down trees. No two cake stands are exactly the same, and any slight imperfections are an affect of the handmade quality.